The east coast of Queensland is a popular destination for travellers from all over the world. Full of amazing landscapes such as the Great Barrier Reef, the Atherton Tablelands, the Daintree Rainforest, the Whitsunday Islands and the Fraser Coast, it has something for every type of traveller. It is amazing in its beauty and has so much to offer to anyone coming to this amazing part of the world. Top destinations along the coast are the Whitsundays, Cairns and Fraser Island, all of which are favourites among travellers. There is a frequent misconception that all major destinations in Queensland are neighbouring townships, however there is some considerable distance between the tourist hotspots. Here's what you will need to know before planning your tropical escape! The Whitsundays are a group of 74 islands situated in the Coral Sea. They are a popular tourist destination and are known for their overnight tours and day trips that visit some of islands and their surrounding reefs. The protection provided by the islands offer the ideal place to sail and explore with calm waters and secluded bays that are filled with diverse and colourful marine life. The Whitsundays are also the home of the famous Whitehaven Beach - one of the world's most beautiful and famous beaches! What kinds of tours can I do there? The Whitsundays offers several types of tours that allow you to visit the islands and reefs and see all their amazing beauty. There are both overnight tours and day trips, each of which is unique and gives their guests a personalised experience. There are a variety of overnight tours that you can do in the Whitsundays. Ranging from 1 night to 3 nights, you can choose from several different tour types. There are catamarans, backpacker tours, Outer Great Barrier Reef, private charters, family tours, scuba diving tours, and small group sailing. Which tour you choose will depend on who you are coming with and the amount of time you have in the Whitsundays. If you're really short on time, or would prefer to spend your nights on land, you can choose from the many day tours on offer in the Whitsundays. Day tours are a great way to see the Whitsundays with plenty of time for exploring. You can choose from our most popular day tours, sailing day tours, scenic flights, reef tours, scuba diving tours, half-day activities and fishing tours. You can also combine two or three day trips and enjoy completely different tours while in the Whitsundays for a well-rounded and special experience. Cairns is another popular destination on the east coast of Australia. 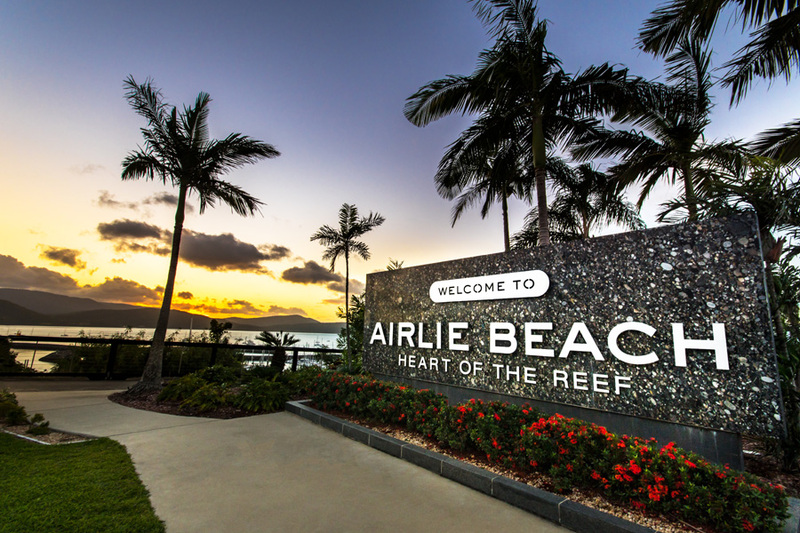 It is located about 620km north of Airlie Beach and the Whitsundays, or about a 7 hour drive or 1 hour flight. It is considered to be the gateway the Great Barrier Reef with many overnight and day trips departing from here to venture out to sea. The reef is located about 50km offshore, and is accessible and easy to get to, making it a favourite among those who want to snorkel or scuba dive! However, there are still plenty of types of trips that depart from Cairns and stay on land, too! From here, you can also join trips that venture to the Daintree Rainforest or the Atherton Tablelands, or even try bungee jumping and skydiving! Cairns is the adventure capital of Queensland and has much on offer to all of its travellers. From Cairns and the surrounded area, you can do both day trips and overnight trips. Overnight trips vary from 1 to 4 nights, with tours that visit the Great Barrier Reef or inner rainforests. Both tours are ideal for those with a sense of adventure and exploration and allow you to see some of the best parts of far North Queensland. There are two types of overnights trips available to you when visiting Cairns. You can either join an overnight trip that goes to the Great Barrier Reef for snorkelling or scuba diving on liveaboard boats, 2 night tours, 1 night tours or dive courses. You can also join tours that visit the rainforest and waterfalls inland from the coast, which will bring you to some of the best kept secrets of the Daintree Rainforest and Atherton Tablelands. Both are great options that offer amazing Far North Queensland experiences, showing you to some of the best parts of the region. You can choose from day tours that depart from either Cairns or Port Douglas, depending on where you're staying, scenic flights, tours of the Daintree Rainforest and Cape Tribulation, tours of the Atherton Tablelands or even tours for those seeking extra adrenaline and thrill, such as bungee jumping or skydiving! You can choose two different tours on different days that will allow you to spend your time in Cairns exactly the way you want. Fraser Island is one of the most special and unique islands in Australia. Not only is it the largest sand island in the world, but it has the world's most pure dingo population and vast landscape that includes unique lakes, sand dunes, rivers, and a huge rainforest. It's a popular tourist destination located off the coast of Hervey Bay with both day trips and overnight trips on offer. It's only accessible by ferry as there is no bridge to the island and tours are centred around driving from destination to destination! Many tours even offers its guests the chance to experience driving on the sand highway themselves for an extra special experience. Like Cairns and the Whitsundays, Fraser Island also offers both overnight and day trips. There are tours that depart from Noosa, Hervey Bay, Rainbow Beach, Sunshine Coast, Gold Coast and Brisbane. You can also choose from camping tours, or resort tours, as well as 1 or 2 nights! With a huge variety of trips available, you will definitely find something suitable for you and your group! Several overnight tours depart from Noosa, Hervey Bay, Rainbow Beach, Sunshine Coast, Gold Coast and Brisbane. Tours range from 2 days and 1 night to 3 days and 2 nights, with camping options and resort options available. You can also choose to join a guided tour where you will be driven around in a 4x4 bus with your experienced guide at the wheel. 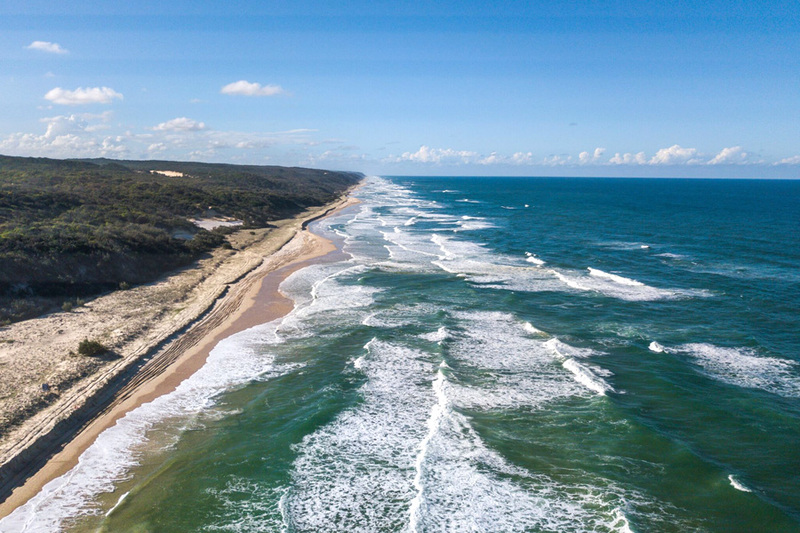 There are several day tours that go to Fraser Island, which are ideal if you are short on time but still want to see what the island has on offer! Tours depart from Noosa and the Sunshine Coast, Hervey Bay and Rainbow Beach. Day trippers can also rent their own car and drive on the island themselves, or choose to venture around the island on a unique jetski tour! There is also whale watching certain times of the year, as many whales migrate past the Fraser Coast for a really amazing experience. How do I get to Fraser Island, the Whitsundays and Cairns? The most affordable way to travel around Australia is via coach with a number of services, including Greyhound Australia and Premier, both of which stop in Cairns, the Whitsundays (Airlie Beach) and the Fraser Coast. If you plan to travel on the bus, we suggested purchasing a hop-on/ hop-off pass which you can be used for an extended period of time and allows you to go to several places as your own pace. Alternatively, there are flights that fly into the Whitsunday Coast Airport and Hamilton Island, as well as Hervey Bay and Cairns. Please check the airlines and departure times. If you do choose to drive, we recommend arriving in town the day prior to any trips you may have booked just in case of any delays such as construction or weather.